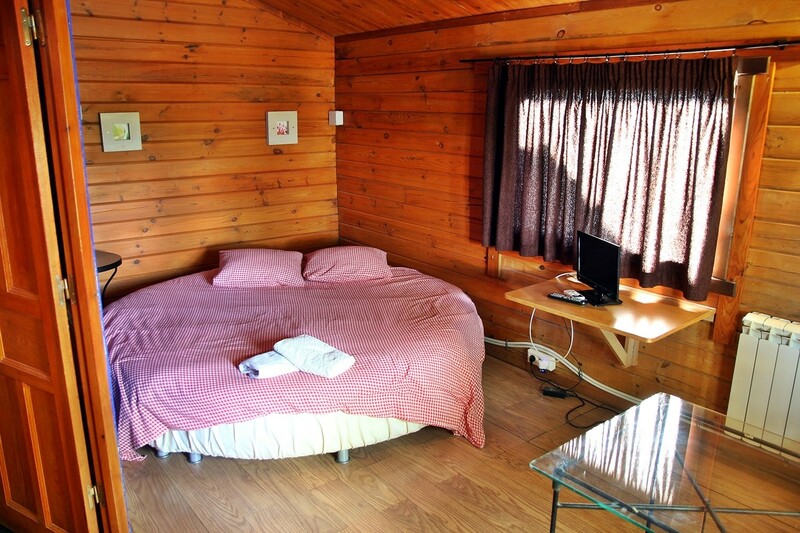 This camping is offering luxury cozy wooden cabins which are breaking the traditional format as cabins. 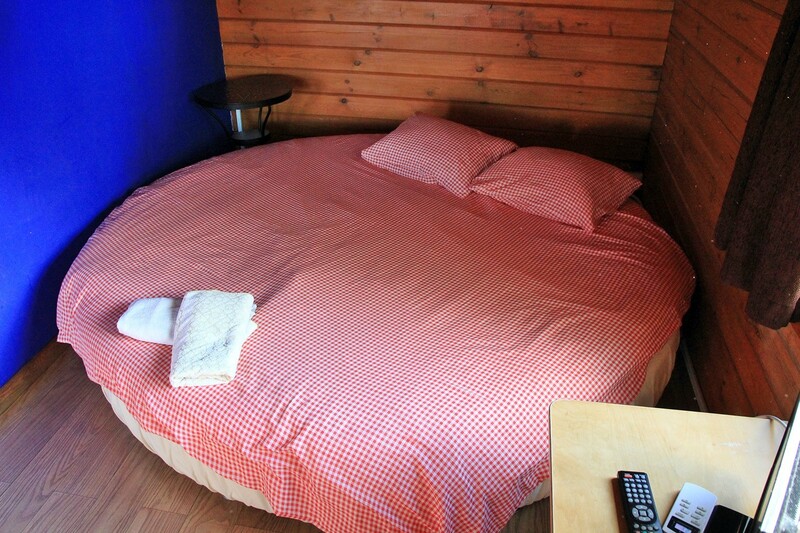 All 2 person cabins have a jacuzzi and a round bed. 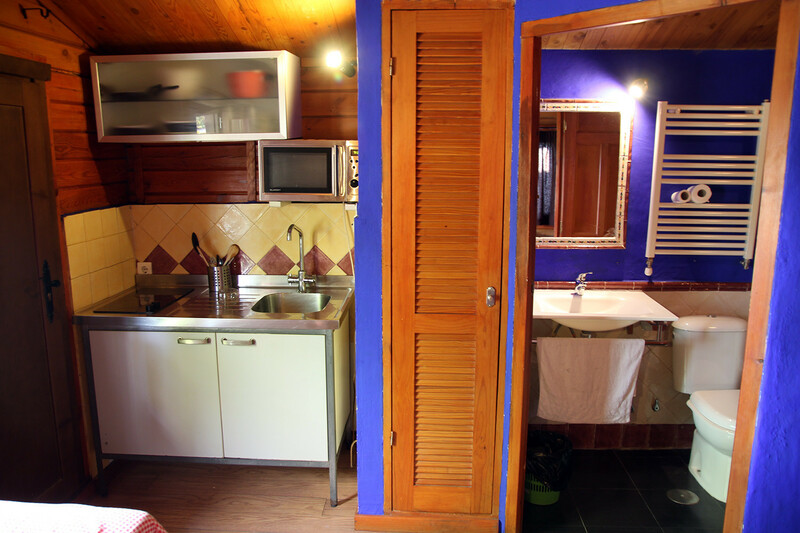 This is the perfect place to relax and disconnect from the city and enjoy a romantic night with your partner. 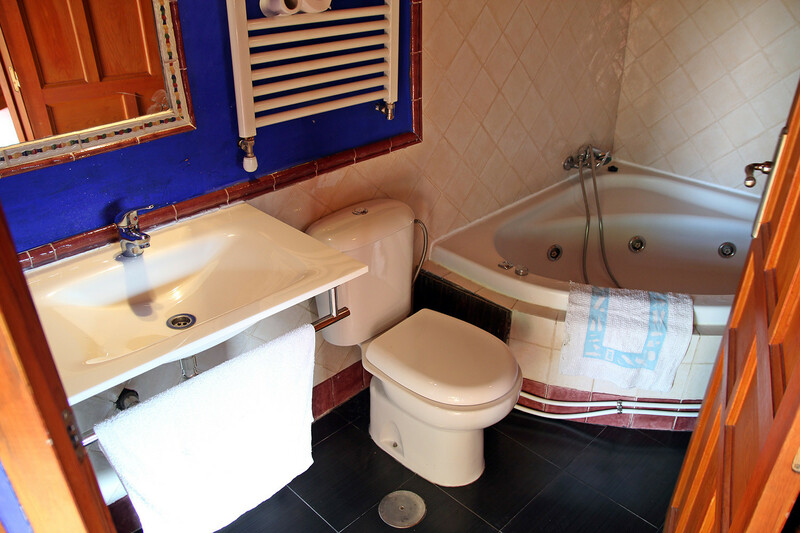 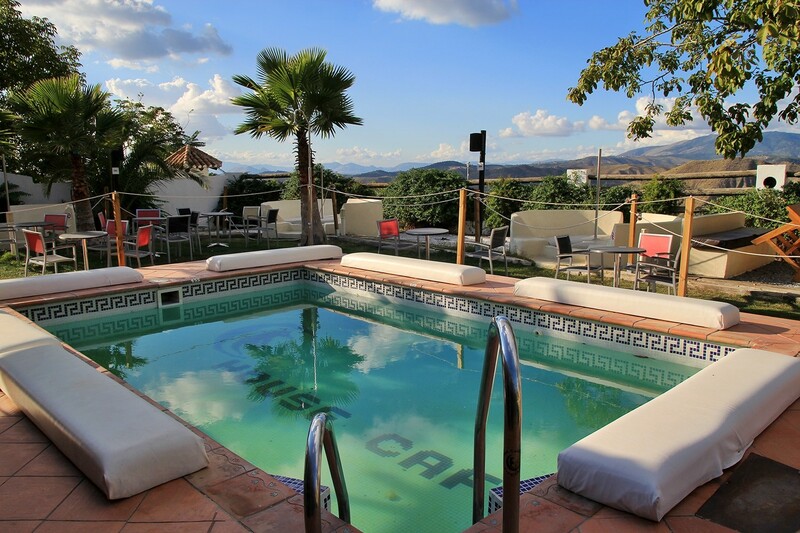 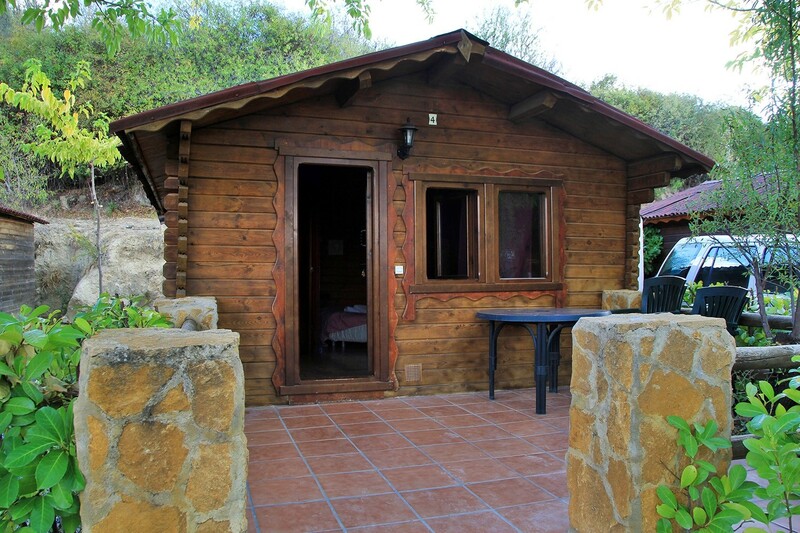 The cabins are a 15 minutes drive away from the Granada city center and from the ski area in Pradollano. 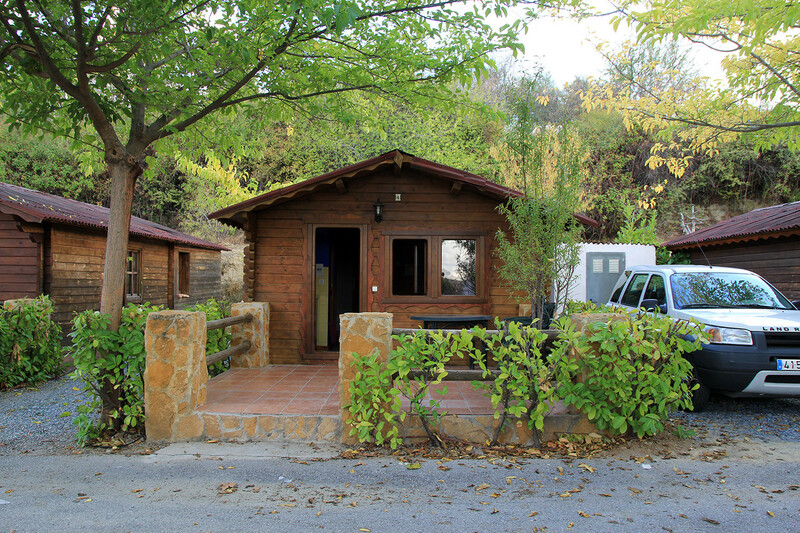 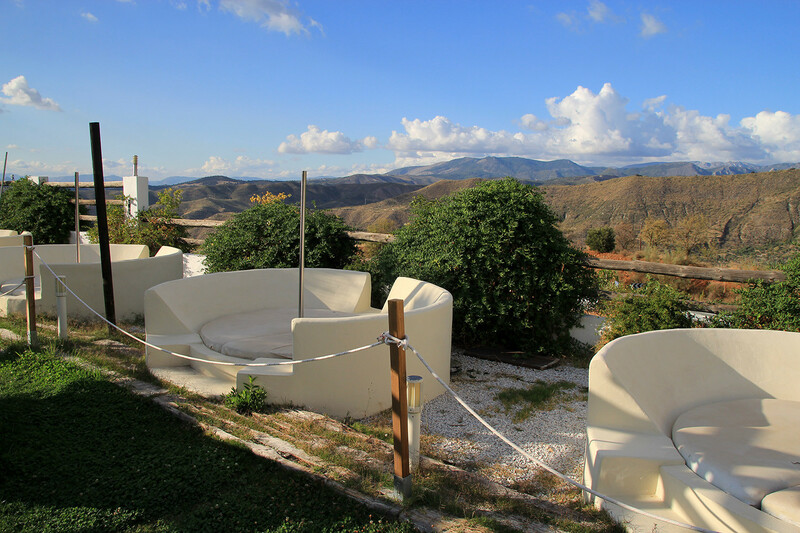 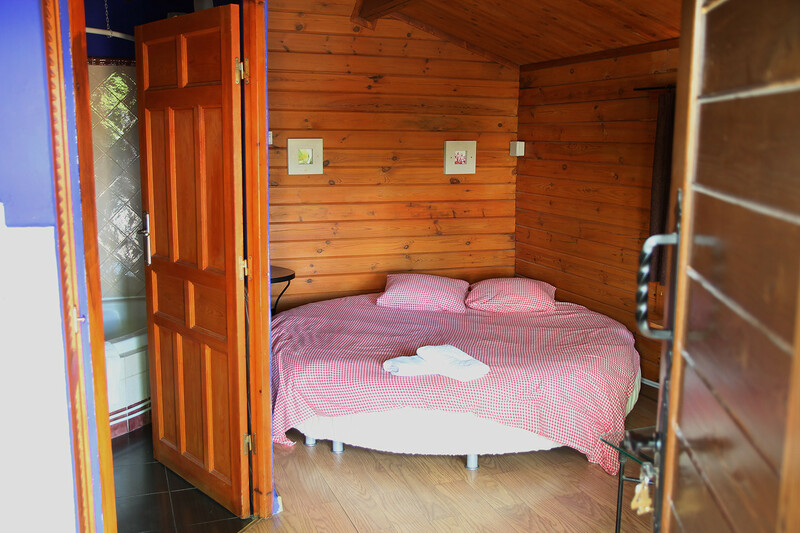 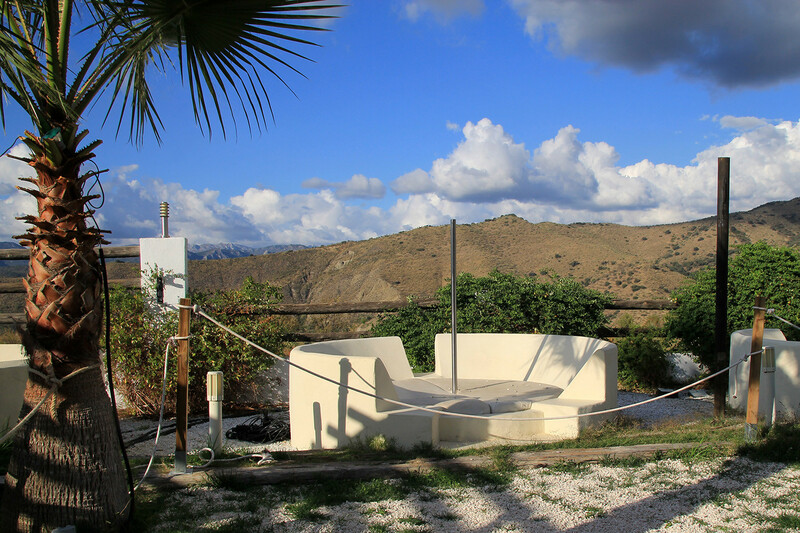 Just 10 minutes from Granada is this wooden cabin complex situated. 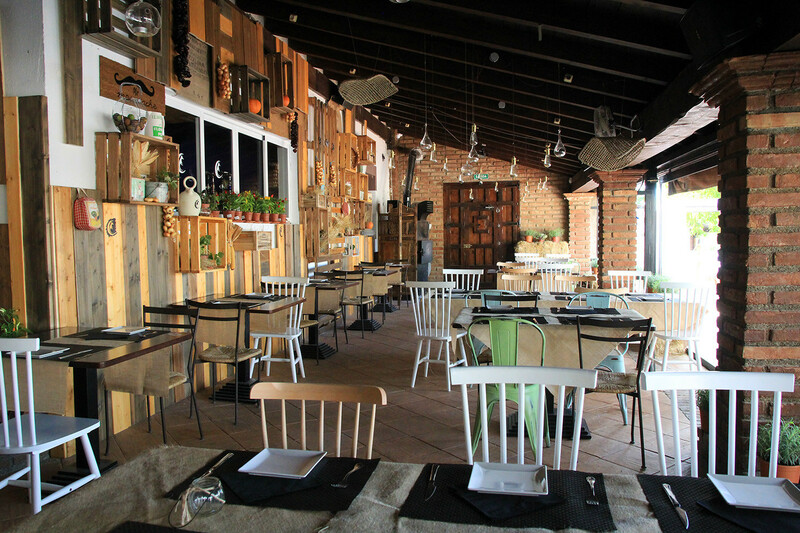 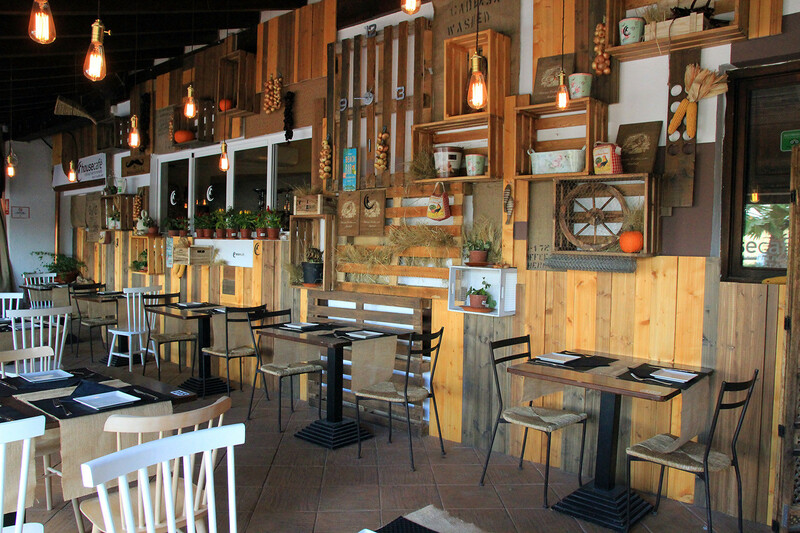 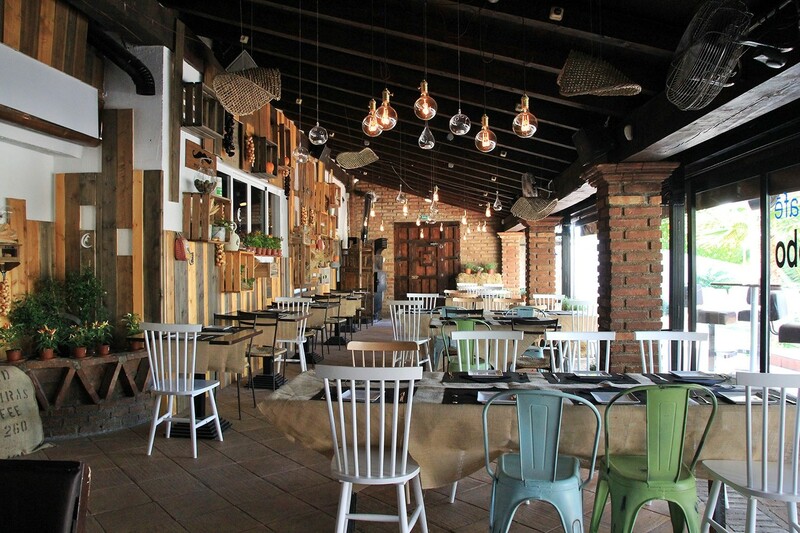 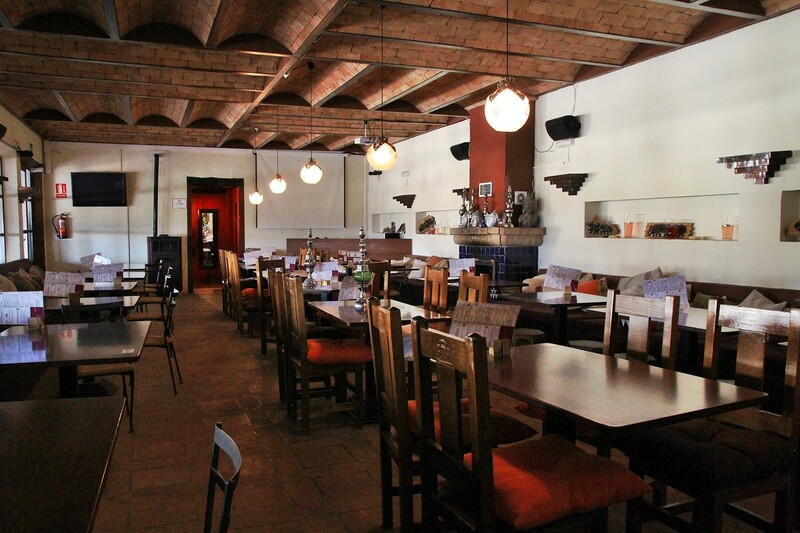 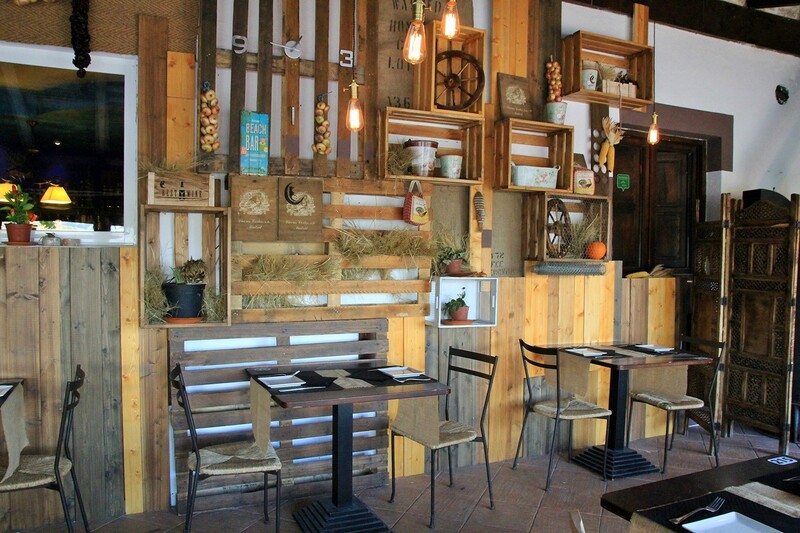 They have a rustic mountain style that is reflected in the wood, but with the charm of a modern decoration with the flashy colors of the walls and cloths. 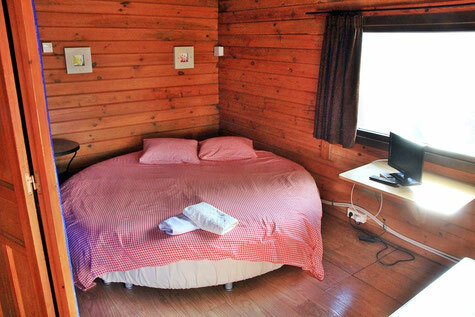 The cabins are situated on a special part of the camping. 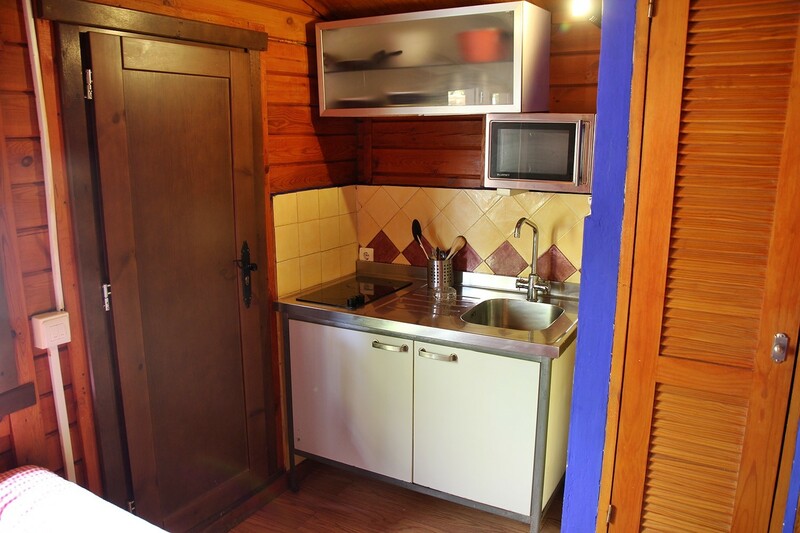 The 2-person cabins have a surface of 20m2, if you prefer more space please take a look at the 2-4 person cabins (35m2) or the 2-6 person cabins(40m2). 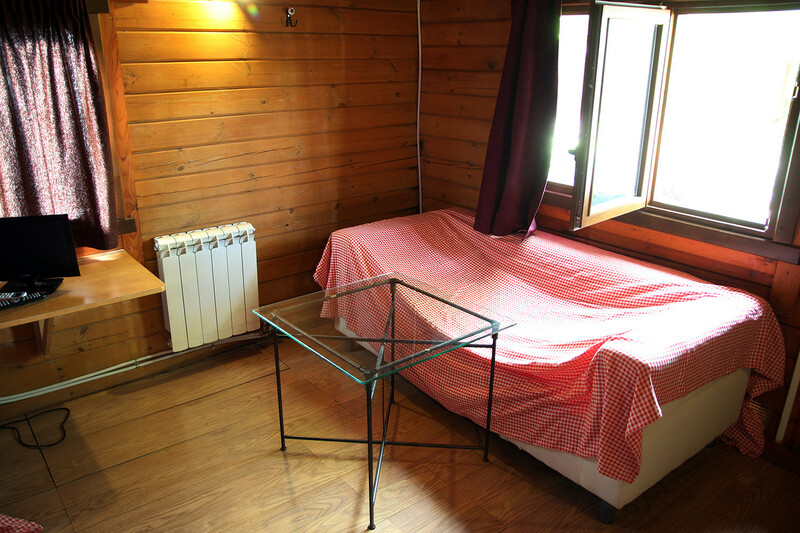 Every cabin has a small terrace in front of its cabin. 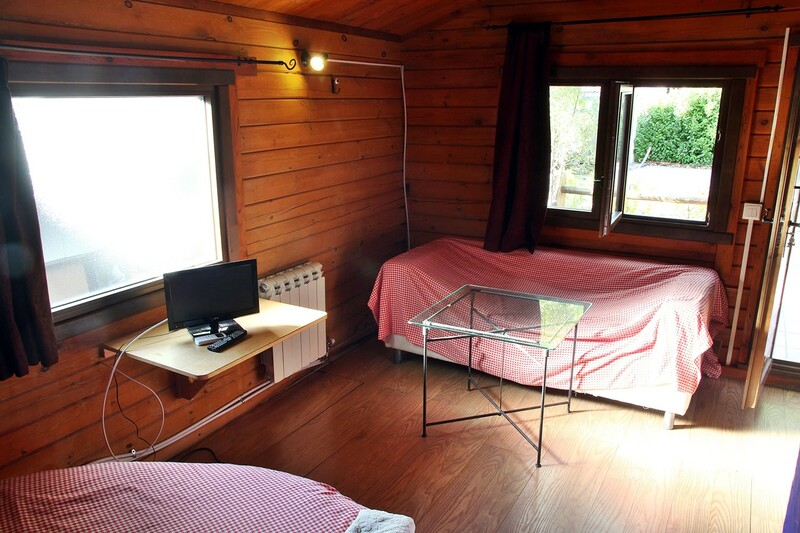 The cabins are a 15 minutes drive away from the Granada city center and from the ski area in Padrollano. 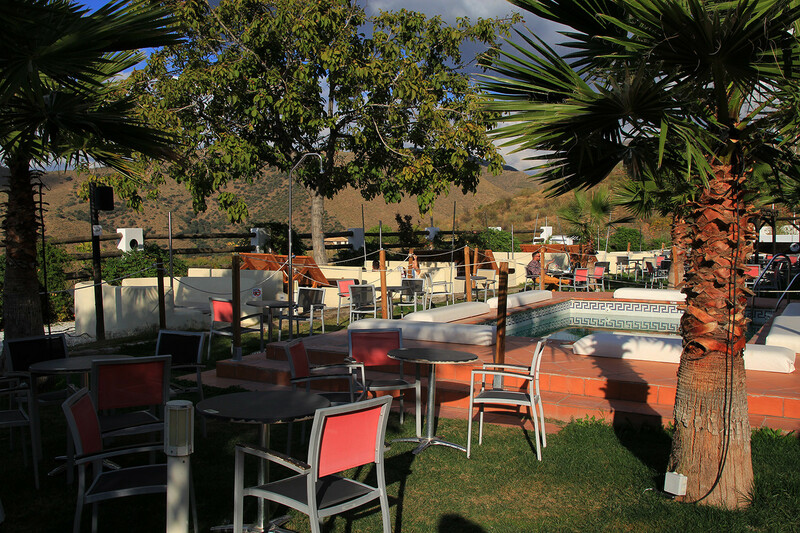 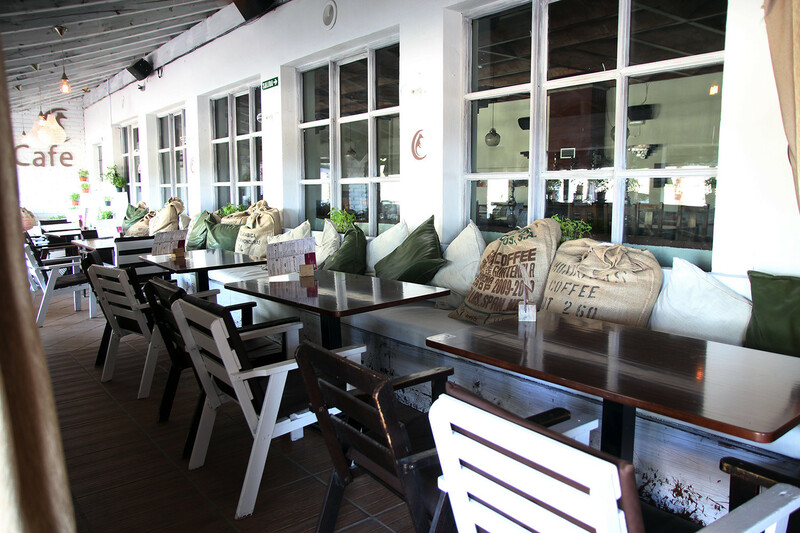 In front of the restaurant is a small swimming pool situated (open from 15:00 till 21:00) with comfortable deck chairs. 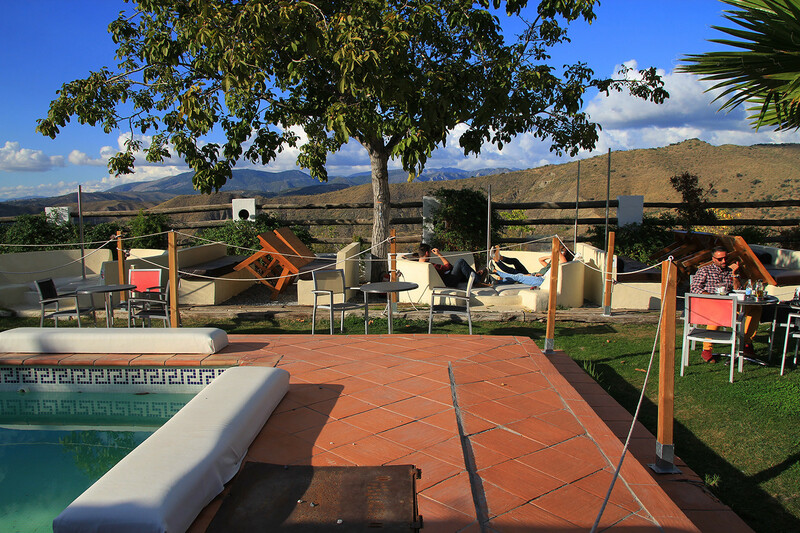 This pool is shared with the other guests from the cabins and camping. 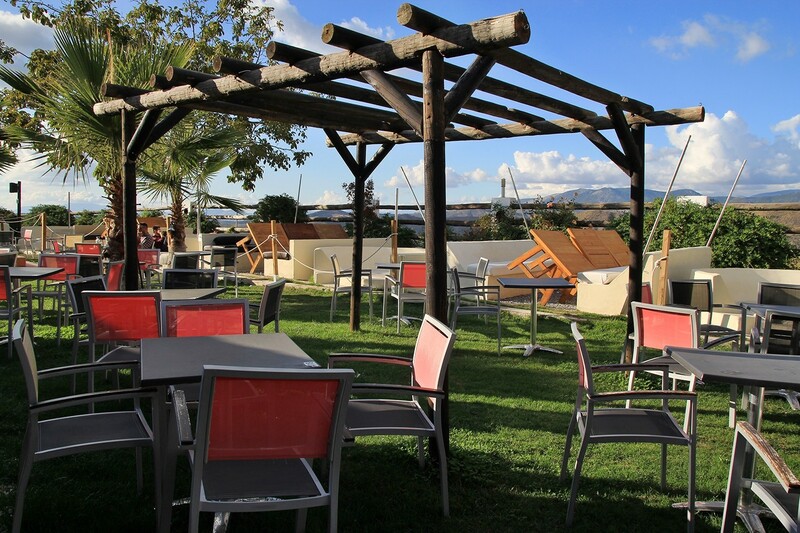 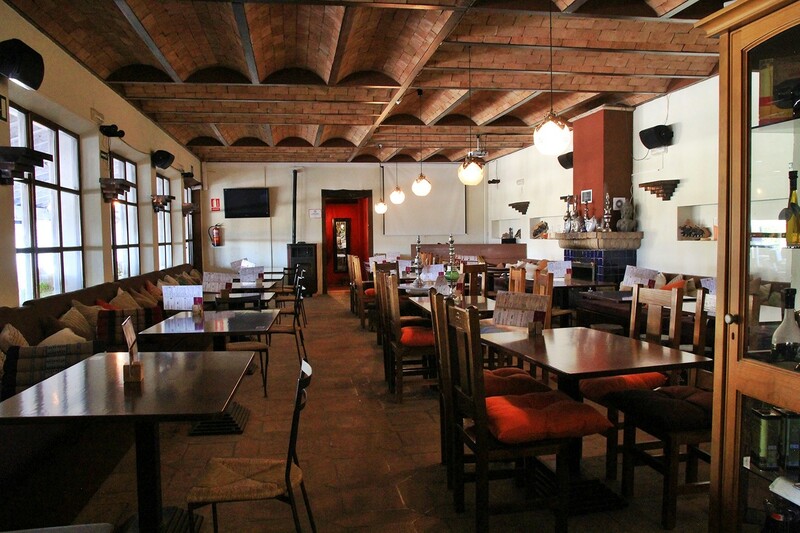 Next to the restaurant is a lounge bar (the outside music will stop at 23:00).